We know for a fact that we absolutely do not have to sell Bangkok, because it already is a top tourist destination for Singaporeans, especially. The airfares are affordable, food and shopping are similarly low-priced and everything about Bangkok just boasts an aura of awesomeness. However, we also know that some people have their qualms about Bangkok and we are here to change that. Bangkok is so beautiful, we want you to see it too. Besides the shopping, food and all the well-known night markets, Bangkok has ancient temples, rich culture & heritage, and more! Here are 16 Reasons to Love Bangkok, Thailand. You will definitely be booking your next trip by the end of this! This is our favourite past-time in Bangkok and we do it almost everyday! Foot or full body massages are so affordable there (approx. S$10 or 250 baht) that we will never skip it when we visit this beautiful city. The masseuses are also very well-trained to really give you the best massages to relax your muscles and make you rid of any tension in your body. Seafood is generally pricey in Singapore. 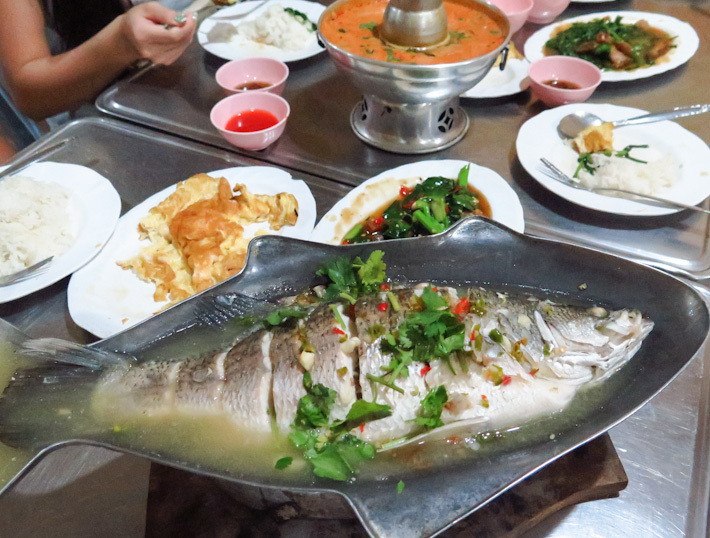 However in Bangkok, we can have a very big and satisfying full seafood dinner for about S$10 or so each. You can never find seafood prices like these in Singapore. We all love Bangkok for this reason. Whether you’re grabbing a taxi or tuk tuk, they’re all extremely inexpensive. However, remember to insist on them turning on the meter to not get conned! We don’t know about you, but the street food in Bangkok is to-die-for to us! Everything is so tasty and flavoured so well that we sometimes skip meals just to eat a variety of street food (so much so that it fills our tummy up!). 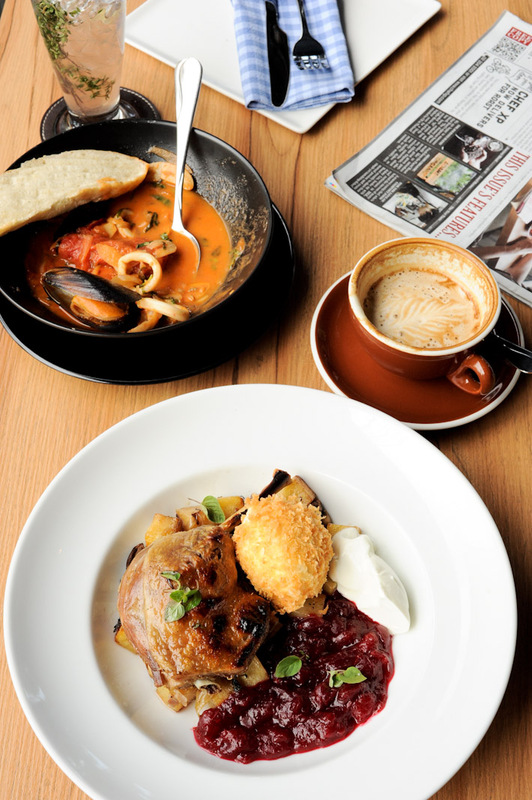 Quail eggs, deep-fried squid, roadside Phad Thai – we are hungry just thinking about it. Bangkok boasts one of the richest nightlife in South East Asia. Besides pubs and clubs, the overall feel strolling down places like Khao San, taking in the vibes, is the perfect feeling to end your long night of shopping and activities. Grab a drink or beer here and just party the night away! We love the fact that Bangkok has many breathtaking rooftop bars and they are all extremely beautiful. Some of our favourites include – Vertigo & Moon Bar at Banyan Tree (always packed, but you should still go anyway), Red Sky Rooftop at Centara Grand and Baiyoke Sky Rooftop Bar (highest point in the city). Strangely enough, we visit the 7/11 in Bangkok, more often than we would admit. Do you know a delicious pre-made and packed Thai Basil Chicken Rice is only barely S$1 there? And it’s really good too, trust us on that! Everything else from bottled drinks to snack are all generally much cheaper than in Singapore. 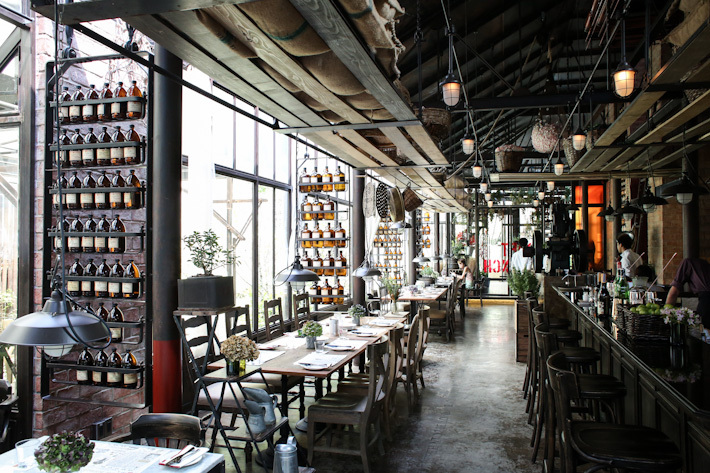 Bangkok is also no stranger to the cafe scene with popular destinations such as Karmakamet and its iconic candy floss desserts, and others such as After You and Mr. Jones’ Orphanage, offering affordable and delicious cafe fare. We like that it is easy to get to anywhere in Bangkok. Not once, were we ever lost. The roads might look messy but all the cab and tuk tuk drivers we’ve had, never had a problem. Of course we will bump into rude and uncouth people any where in the world, but we are sure that Bangkok has some of the nicest and most polite locals around who will take the time to chat with you, even if they are not proficient in English – something that really warms our heart. We know of friends who do their entire year’s worth of shopping on one trip to Bangkok—that’s how good the shopping deals are. With so many great night markets, weekend markets and shopping centres in the city, it is every shopaholic’s heaven. Other than amazing Thai food, Bangkok offers great food from around the world. We’ve had authentic American diner fare in Khao San Road and Japanese food in the shopping centres that were more than up to standard. This is for the ladies out there. Brand such as Snail White and Cathy Doll, are so much cheaper in their home country, of course! Grab all these amazing skin care and make up while you’re there and you’ll save a ton! 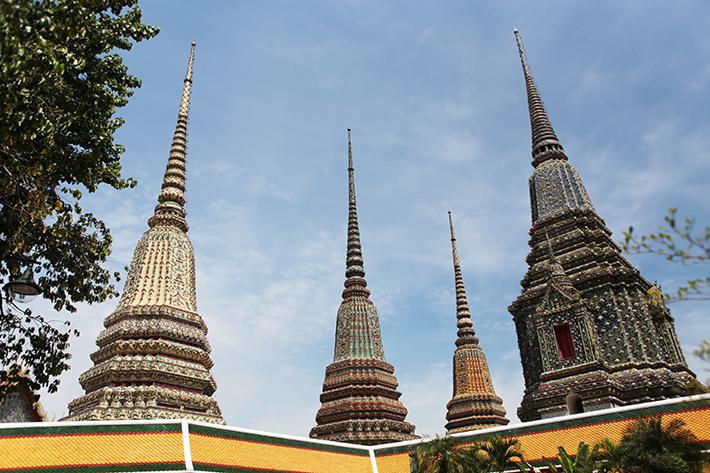 After the hustle and bustle of city life, take a break by visiting Wat Pho, home of the famous reclining Buddha. This temple is gorgeous and so tranquil inside, it is the perfect vacation ending you need to have. Whenever we spot a traffic jam, we would definitely head on down to their train. It is both affordable and very well-connected to all the major places in Bangkok. It served us really well when we want to get to somewhere fast when there is horrible traffic during peak hours! Ask any Singaporean which Asian city is their favourite for shopping and most would tell you Bangkok. For the Thais, night markets are a way of life. The congregation of local vendors is a common sight and for many natives, their livelihoods depend on these bustling night bazaars.